Keri E. Hieneman has nearly 15 years of experience in litigation, particularly in the areas of insurance defense and premises liability. She is licensed to practice before all federal and state courts in Kentucky, as well as the Sixth Circuit Court of Appeals and the state courts of Ohio. 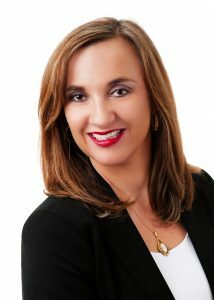 Keri has defended many personal injury cases and obtained favorable resolutions for her clients. Additionally, she has prepared numerous briefs to both trial courts and appellate courts, which were vital to obtaining successful results for her clients. Keri is also a leader in the community. Since 2015, she has also served as a member of the Delta Gamma Fraternity Housing Corporation Board of Directors, which oversees all housing for the Fraternity’s 150 collegiate chapters throughout the United States and Canada. She previously served as a Regional Collegiate Specialist for 7 Delta Gamma chapters in Kentucky, West Virginia, and Tennessee, and as a Regional Housing Specialist for 21 chapters in 7 states and the District of Columbia. She has also served as a volunteer cheerleading coach at several local schools. Prior to returning to VanAntwerp Attorneys in August 2016, Keri was an Assistant Professor of Legal Environment in the Lewis College of Business at Marshall University in Huntington, West Virginia. While at Marshall, Keri taught various undergraduate and graduate courses in the areas of business law and health care law. She also counseled students on both careers in business and law. Her recent work, “How Close is Close Enough? Examining the Relationships in Title VII Third Party Retaliation Claims,” was published in the September 2016 issue of the Labor Law Journal. She previously presented this article at the 2015 Colloquium on Scholarship in Employment and Labor Law at the Indiana University College of Law. Keri’s note, “Women in the Judiciary: Kentucky’s Need for Change,” was also published in the Winter 2003-2004 issue of the Brandeis Law Journal.